A shape suitable for shopping lists. An attractive floral watercolour image on the cover on cream board with a design that will be appreciated by all plant lovers. 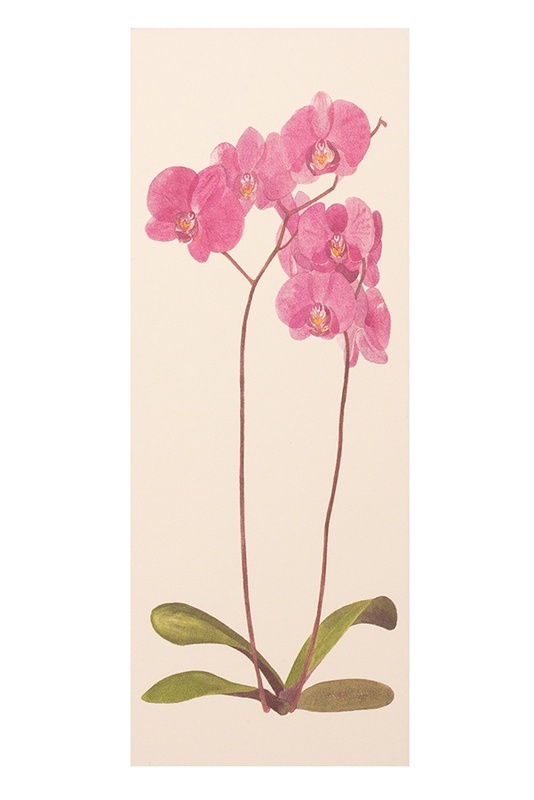 a picture of a pink orchid on the cover.